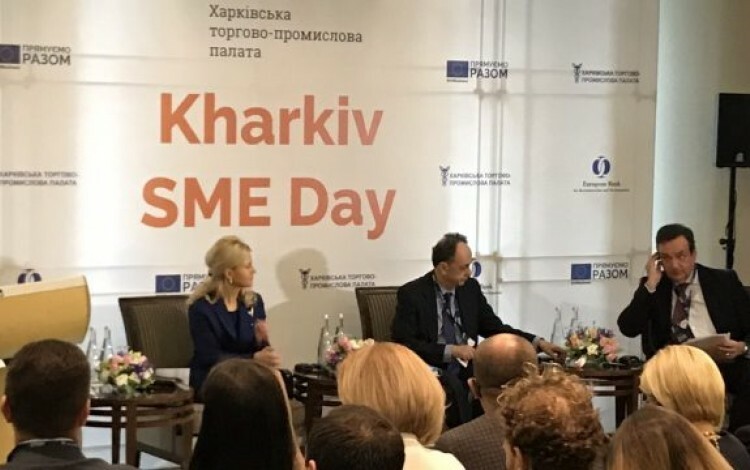 Regional business leaders, diplomats and representatives of international financial institutions gathered at the Premier Palace Hotel in Ukraine’s second city on 9 April for Kharkiv SME Day, an event aiming to stimulate investment and growth among small and medium-sized businesses in the region. Attendees included Kharkiv Oblast governor Yulia Svitlychna, the head of the EU Delegation to Ukraine Hugues Mingarelli, and the European Investment Bank’s Ukraine chief Jean-Erik de Zagon. Mingarelli identified a number of areas for further cooperation in the Kharkiv region including energy efficiency initiatives, healthcare reform, and the participation of Kharkiv universities in the Erasmus+ and Horizon 2020 programs. However, SME sector growth remains a priority. “It is particularly important for us to support the development of Kharkiv region SMEs. We have worked together with the Ukrainian authorities for the past few years in order to create the right business climate for small and medium-sized businesses to flourish. In Kharkiv, we have established an information center for SMEs to help them access credit,” commented Mingarelli. The five-star Premier Palace Hotel Kharkiv is a regular venue for key regional business events and plays host to the EBRD’s Regional Office for eastern Ukraine. The hotel was constructed by Oleksandr Yaroslavsky’s DCH Group as part of Kharkiv’s preparations to serve as one of four Ukrainian host cities during the UEFA Euro 2012 football championship, with an approximate overall investment of USD 126 million. The hotel scooped two prizes at the 2019 International Hospitality Awards, an industry event that ranks hotels from 21 countries in 28 dominations. 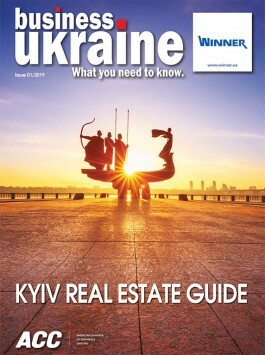 The Kharkiv landmark took top spot in the Best Five-Star Business Hotel category, beating out competition from Kyiv’s InterContinental and Fairmont hotels and the Wyndham Batumi in Georgia. The hotel also claimed first place in the Best MICE Hotel (Meetings, Incentives, Conventions and Exhibitions) category ahead of rivals including Hotel and Congress Center Brdo (Slovenia), Splendid Conference and Spa Resort (Montenegro) and Georgia’s Hotels & Preference Hualing Tbilisi.